Hard Money Mortgage or Deed of Trust Investments are short-term mortgages funded by private individuals on local real estate, paying higher-than-market rates, typically 11% to 14% or higher annually. Each investment is a separate loan and will involve one investor (unless the investor decides to form a group of their own). You choose the amount of the investment, the area you feel comfortable with and the property type you prefer. In exchange, you receive the original, promissory note and closed loan copy package. You receive interest payments for terms from 6 months to a maximum 5 years with balloon payment at the end of the term, but may be paid off at any time the borrower chooses up to the limit. When the loan is paid off, your initial investment is returned along with any interest and prepayment penalties due. A mortgage or deed of trust, is a security instrument for real estate loans recorded at the County Recorder's Office. 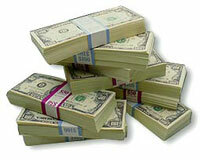 The details of the loan are spelled out in a separate promissory note. 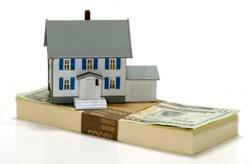 The mortgage serves legal notice to the world that the subject property is pledged to secure a loan. It also provides for a rapid method of foreclosure should a borrower default on the note. You choose the Property and hold the Original Note and Deed of Trust. Investment is secured by Real Estate with lots of equity. Properties are financed NO MORE THAN 55% (most under 50%) of the independently appraised value—there is AT LEAST a 45% appraised value cushion. Title Insured 1st lien position. No other Debt on these Properties can come before the obligation to pay you. All transactions are performed by an independent title insurance company where a deed of trust showing you as the owner of the mortgage (deed of trust) is recorded along with all other mortgage documents. No loans are approved for investment purchase unless our rigorous selection criteria are met. Our staff will service your investments throughout the duration of each loan to ensure that your needs are met. These are averages. Individual results may vary. Yield Interest rates are determined by risked based pricing. You receive monthly payments based on the terms of the original note. Loans are interest only and balloon between 6 months and 5 years—you are not committed to a long-term investment. Actually, most loans are paid off within 12 months, after which you can reinvest your funds in another loan if you choose. With an interest only schedule, an extremely low percentage of borrowers choose to pay down the principle during the life of the loan. Not only do you receive high interest on your investment, but 100% of your investment is continually working for you. Banks and Institutions lend money on houses, why not you? What better security on a note than a Mortgage secured by local real estate with a large equity position, and you receive the monthly payments? Interest rates paid are generally higher than bank rates. Notes are liquid and can be sold or traded. Investors can borrow against the note, using it as security. Security of the mortgage generally increases with time as the property appreciates, providing an even lower LTV. What's in a Loan Package? Copies of all disclosures and compliance documents. Armor Investment Company is the trusted source in setting up and managing your private mortgage notes. Whether you are the borrower or the lender, you will have access to a suite of services designed to help protect not just your financial interests, but your relationships as well. A definite yes! ! ! You've been able to buy real estate and mortgage notes within your IRA since IRA's were created over 30 years ago. Many financial professionals are unfamiliar with this, and continue to recommend bond and mutual funds for IRA investments. Also, some institutions limit investment choices to funds and products for which they'll earn a commission. Keep in mind that when you fund a loan, you pay no fees, nor commissions ever! ! ! It is always the borrower that pays all the title costs and brokerage fees. How sweet is that for you as an investor. First, verify that your current IRA custodian permits you to purchase mortgage notes. If not, contact us for information on custodians that will allow you to place your IRA funds in any acceptable investment. In additional to IRA or SEP IRA funds, you can also transfer existing pension plans (e.g. 401k, 403b, ESOP or 457 plan) to a custodian. Once your funds are transferred, let us know how much you'd like to invest in mortgage notes, and hold the funds at your custodian in a short-term investment that can be easily liquidated. When we have a mortgage note available that meets your investment objectives, we'll call you to discuss the investment in depth so that you can decide whether it's right for you. If it is, we'll send you the Investor Loan Package and the appropriate documents for signature, and give you instructions to give your IRA custodian on how to transfer funds to the title company holding the escrow for your mortgage note investment. The real advantage to using your tax-deferred money to invest with us is that the rate of return is fixed - you know that you are going to receive a predictable 11-14% on your investment. Not many investment options today can make this claim!